Listeria monocytogenes is an opportunistic pathogen that is widely distributed in the environment. The evolution of its genome has exhibited differences in virulence among strains of the same species. Listeria monocytogenes LIPI-3 (Listeria Pathogenicity Island 3) and LIPI-1 (Listeria Pathogenicity Island 1) are considered responsible for the increased virulence in some strains. The aim of this study was to detect LIPI-1 genes and the llsX gene belonging to LIPI-3 in invasive strains of L. monocytogenes and to establish whether there is a relationship among the invasiveness, presence of the llsX and LIPI-1 genes, and the source of the strains. The results showed that 70% of the strains were invasive, and all these strains except one possessed LIPI-1, which suggests that although there is a correlation between LIPI-1 and invasiveness, the independent mechanisms of LIPI-1 may contribute to invasiveness. In contrast, 35% of the total strains were positive for llsX and were invasive; thus, the results revealed that there is a strong association between llsX and the invasiveness of L. monocytogenes in HEp-2 cells (HeLa contaminant/epithelial in origin). In addition, there is no other association with any other variable in this study. Moreover, the authors found that LIPI-1 and llsX are more frequently found in fresh than in frozen vegetables. 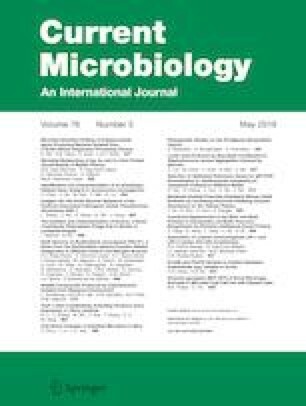 Together, the findings provide an approximation for the better understanding of Listeriolysin S (LLS) and its role in the pathogenesis of L. monocytogenes, and a possible relation between virulence factors and food-storage temperature. REV-R was a recipient of a scholarship from BEIFI-México in 2013–2014. ORR-S is the recipient of COFAA and EDI fellowships. MRE-M is the recipient of SNI and EDI fellowships. This work was supported by the SIP-IPN (Grants 20131379, 20141510, 20151345, 20161199, 20170749, 20181268).